…Given the SXSW incident – I honestly thought Sam was going to storm off. But no – he handled it like a pro and even made light of it. 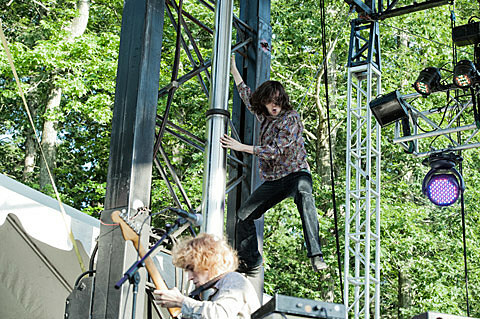 Foxygen’s next NYC show is a free one on July 25 at Hudson River Park’s Pier 84 as part of the River Rocks 2013 with Thao & the Get Down Stay Down opening. The band have announced some fall tour dates as well — no additional NYC show, at least not yet — and all are listed below.